Life in East Java, Indonesia from Returned Peace Corps Volunteer and Geology grad student Jay Wellik. the role of language learning in community integration. 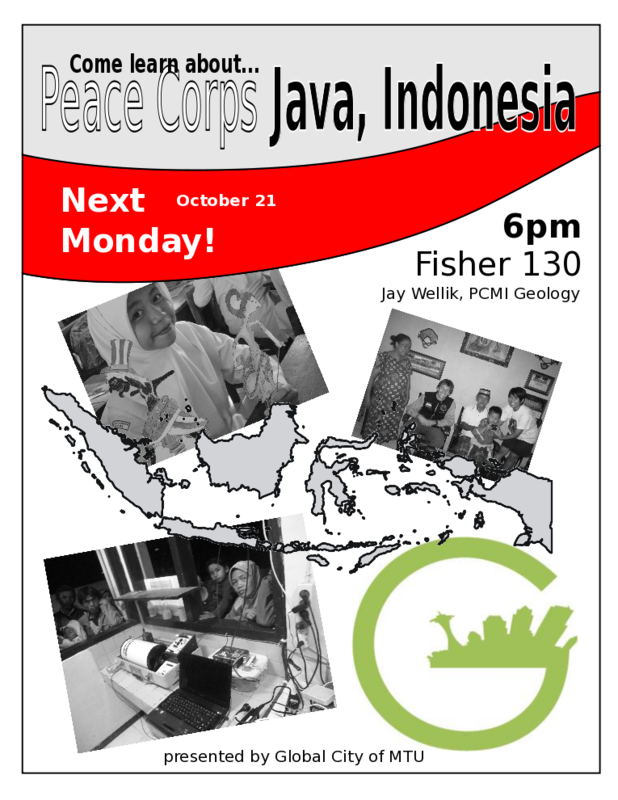 Food and snacks from Indonesia and (more locally) the MUB will be provided. See you there! Samapi jumpa di sana! Following Jay's presentation, we will brainstorm speakers and activities for this year. Check back soon for more information!